Join us for a vitalizing knowledge exchange forum for nurse executives from all sectors and enhance your knowledge in the areas of leadership and governance. Participants will gain a fresh perspective and new knowledge to support and enhance their governance, leadership and practice roles. Learn how to improve person-centered, quality care and service and evidence-based strategies for integrated transformation. 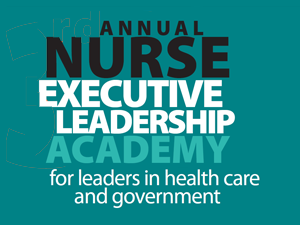 Meet other nurse executives and discuss current and emerging issues across the sectors. Registration fee includes accommodation for 3 nights; all meals; program materials; parking; internet access and use of venue facilities. For more information please contact Melissa Aziz.